Amir Peretz tears into Shelly Yechimovich for not ruling out joining a Netanyahu government. Amir Peretz, who occupies the Number Three spot in the Labor party's list for the Knesset, mounted an attack on party leader Shelly Yechimovich on Channel 2's Meet the Press Saturday. Yechimovich has been hard at work over the past few years creating a centrist image for herself, and even occasionally making gestures toward the right wing, like addressing the Ariel University Center. She has studiously avoided making political statements on the Arab-Israeli conflict that would pigeonhole her as a radical, preferring instead to talk about social and economic matters from what she says is "a social democratic" point of view. 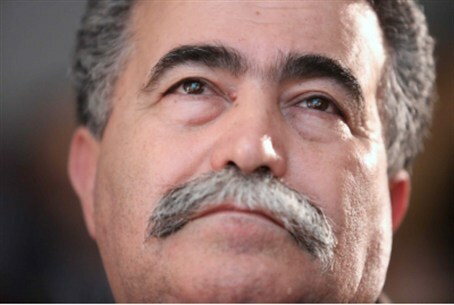 Peretz headed the Labor party when Yechimovich joined it, seven years ago. He welcomed her heartily but they have since become rivals.